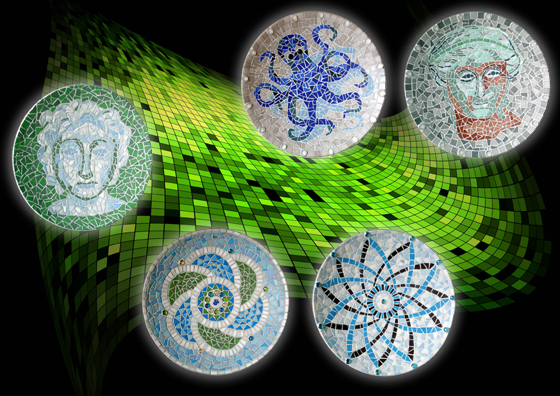 From Sunday June 22 Anke Rietdijk will exhibit her mosaic artwork in the Alonissos Museum in Patitiri. The exhibition will last till the 30th of June 2014 and is open daily from 11:00 am till 20:00 pm. Underneath are some examples of her work. In case you want to add a splash of colour to your holiday? 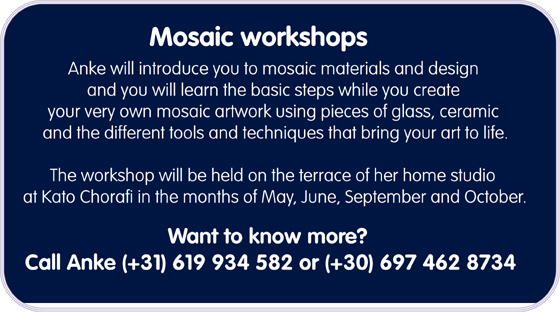 Discover mosaic art work by following a workshop of Anke. There are workshops in English, German and Dutch of 1-day, 2-days or 3-days, all held in the months May, June, September and October.